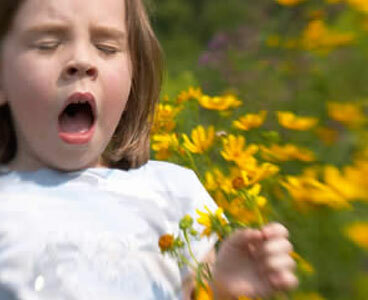 Home » Posts Tagged "Allergies"
Allergies are abnormal, immune system reactions to things that are typically harmless to most people. Allergic reactions can be mild, like a runny nose or severe, like difficulty breathing. An asthma attack, for example, is often an allergic reaction to something that is breathed into the lungs of a person who is susceptible. Some types of allergies produce multiple symptoms. And in rare cases, an allergic reaction can become very severe. This severe reaction is called anaphylaxis (ah-nuh-fuh-lak-sis). Some of the signs of anaphylaxis are difficulty breathing, difficulty swallowing, dizziness, loss of consciousness as well as swelling of the lips, tongue and throat or other parts of the body. Anaphylaxis usually occurs minutes after exposure to a triggering substance, but some reactions may be delayed by as long as four hours. Luckily, anaphylactic reactions don’t occur often and can be treated successfully if proper procedures are followed.